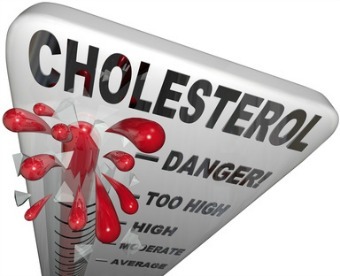 Too much cholesterol in the blood is one of the main risk factors for heart disease and stroke—two leading causes of death in the United States. The Centers for Disease Control (cdc.gov) says that over 71 million Americans have high cholesterol, but only about one third actually have their cholesterol levels under control. Elevated blood cholesterol usually has no symptoms so many people may not even be aware they have it. The only way to detect high cholesterol is through a blood test. If you know someone who has not had a full fasting cholesterol test (known as a lipid profile) recently, the annual LMH Health Fair for the community is coming up on Saturday September 27. A lipid profile is included as part of the low-cost blood work offered by the LMH Laboratory. For more information on how to register for health fair blood work, go to lmh.org and click on find a class and then special events. September is National Cholesterol Education month, and in addition to learning what your cholesterol level is, it is also a perfect time to take steps towards lowering bad cholesterol (LDL) and elevated triglycerides, and raising good cholesterol (HDL) levels. Here are some measures to take towards correcting cholesterol and triglyceride levels. Always consult and work in partnership with your healthcare provider to discuss and employ the best strategies for lowering your cholesterol. Take any supplements or prescription medications recommended by your healthcare provider as directed. If you experience side-effects, consult your healthcare provider as there may be other medication alternatives. Aim for a minimum of 150 minutes a week of moderate intensity physical activity. This amount is in addition to normal daily activity. If you are overweight, work on getting your weight down to within a healthy range. Avoid using any tobacco products. Also avoid exposure to second-hand smoke from other’s use of tobacco products. Eat a heart healthy diet. This includes fruits, vegetables, whole grains, low-fat dairy products, poultry, fish and nuts. Lower saturated fat intake to no more than 5-7% (depending on your LDL levels) of total dietary calories, and try to keep trans fats to less than 1% of daily calories. Eat more sources of the healthier fats—polyunsaturated and monounsaturated, as well as dietary fiber. These may all help to lower bad cholesterol. For information on good sources of each, go to heart.org. Learn to read food labels and aim to keep dietary cholesterol intake to no more than 200-300mg/day. The amount recommended also depends on your LDL level.